Ready to get started? Want to see our templates? Head on over to our submission form. 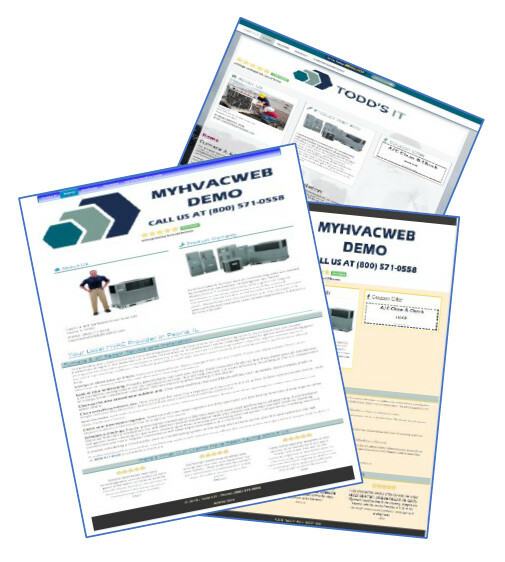 Did you know that over 80% of ICP® dealers have no web presence? Do I need a website? Does it bring value? How do I go about creating one? Todd's IT, a premier ICP® vendor, presents "AutoPilot", a turn-key Website that provides a solution to your questions. Easy to set-up with virtually little maintenance required! Proper SEO and business listing management - VERY IMPORTANT FOR RANKING! 70 combinations of multiple templates, styles, and color schemes to choose from! Able to show that it is generating business for you! Ask for availability of Customized phone numbers that spell "HEAT", "HELP", "CALL", and other terms to encourage customers to call! Very budget friendly - only $399 per year, which is $1.09 per day! One service call will more than pay for your new web site!